Lasers have been ubiquitous in otolaryngology since Jako and Strong first introduced the CO2 laser in 1970. Since that time lasers have traditionally been used like a scalpel, able to cut and cauterize precisely. More recently, the role of lasers has been expanded in otolaryngology depending on the specific laser wavelength and dosimetry parameters. Not only can lasers be utilized to extirpate cancer, but also used to recover hearing, improve the airway, treat epistaxis, and even break up salivary stones for easy removal. The individual characteristics of the laser are important for the specific application. However, the otolaryngologist often works in areas that are either difficult to access using classic methods or require extreme precision, and the mechanism and method for delivering the laser energy is often equally important. 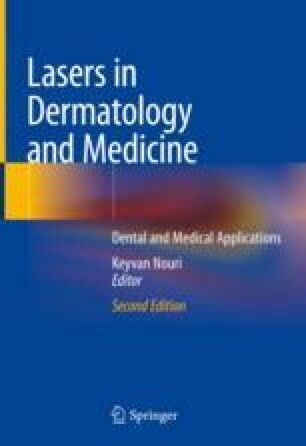 In this chapter, we describe the many ways lasers are used in otolaryngology treat both benign conditions to life-threatening diseases. New and innovative applications are also discussed.